August 28 is the annual celebration of National Cherry Turnover Day! Cherry turnovers are delicious pockets of portable cherry pie that can be enjoyed for breakfast or as a dessert later in the day. Cherry turnovers are typically made by putting a gooey cherry filling on half a puff pastry, folding the puff pastry in half to seal the filling in and then baking it until golden brown. 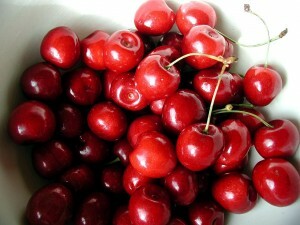 There are a number of variations in cherry turnover recipes and ingredients. You might just have to sample several different kinds to determine which you like best.